Odd friends are about the best thing a person can have. Whether you call them odd, unusual, different, special, these friends get us to try new things, see the world in a different way, expand our own horizons, and provide the most engaging stories to share with the more conventional world. Actually the only time it’s difficult to have odd friends is at any gift giving occasion. How can you ever find a gift to match the quirkiness of their tastes, the expansiveness of their interests, their zest for all things unique? On the occasion of the recent Shop Local Saturday, The Heartbeat of Haverhill set out to discover the top 13 most unusual gifts in Haverhill and the shops where they can be found. All stores visited were within walking distance in Downtown Haverhill along, Merrimack, Washington, Wingate, Essex and Emerson Streets. *Always call ahead for hours and availability. Store names are links. 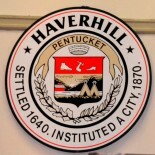 AND THE #1 MOST UNUSUAL GIFT THE HEARTBEAT OF HAVERHILL DISCOVERED DOWNTOWN…. 1. Is your friend the type that imagines squirrel with wings or chickens with fish tails? How about a gift certificate for a Couple’s Mixed Species Taxidermy Class. Actually just about anything in this unique shop could have wish list potential for unusual friends. We saw gas masks from World War 1 and 50 year old robots, real animal bits and pieces, and other curiosities. Evens and Oddities is a newer shop on Emerson Street. Taxidermy taught by Evens and Oddities owner Kyle. If you find something more unique out there in Haverhill, add it with a picture in the comment section of this blog. This entry was posted on November 26, 2018 by Brain4Rent/THoH in #thisisHaverhill, #Uniquegifts for Unique people, Alison Colby-Campbell, Holiday SHopping in Haverhill, Uncategorized and tagged Alison Colby-Campbell, AlisonsBrain4Rent, Design Her Eyes, Evens and Oddities, Humble Healings, IN a Blue Moon, Positive Images Gallery, Quinns Canine Cafe, Rocknus, Rocknus Urban Camouflage, Shopping in Haverhill, The Heartbeat of Haverhill, TheSwitchboardHaverhill, THOH, Weird stuff.